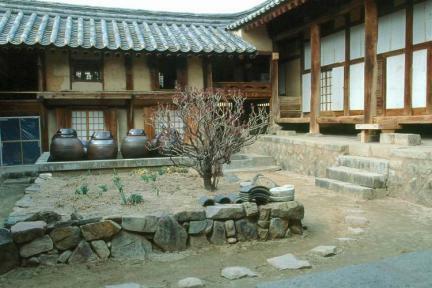 조선 중기 이름난 문신이었던 서애 류성룡(1542∼1607) 선생의 집이다. 류성룡 선생은 여러 벼슬을 두루 거치고 임진왜란 때에는 영의정으로 전쟁의 어려운 상황을 이겨내는데 많은 공헌을 한 분이다. 선생이 쓴『징비록』과『서애집』은 임진왜란사 연구에 빼놓을 수 없는 귀중한 자료로도 평가 받고 있다. 충효당은 행랑채, 사랑채, 안채로 구성되어 있다. 사랑채와 안채는 손자인 졸재 류원지(1598∼1674)가 짓고, 증손자인 눌재 류의하(1616∼1698)가 확장 수리한 것이다. 행랑채는 8대손 일우 류상조(1763∼1838)가 지은 건물로 대문과 방, 광으로 구성되어 있다. 서쪽을 앞면으로 긴 행랑채를 두고 안쪽으로 ㅁ자 모양의 안채와 一자형의 사랑채가 연이어 있다. 사랑채는 남자주인이 생활하면서 손님들을 접대하는 공간으로 왼쪽에서부터 사랑방, 대청마루, 방, 마루로 이루어져 있다. 안채는 안주인이 생활하면서 집안 살림을 돌보던 공간으로 동북쪽에 부엌을 두고 ㄱ자로 꺾여서 안방, 대청, 건넌방이 있다. 또한 건넌방 앞에는 마루와 2칸의 온돌방, 부엌이 있으며 사랑채와 연결되어 있다. 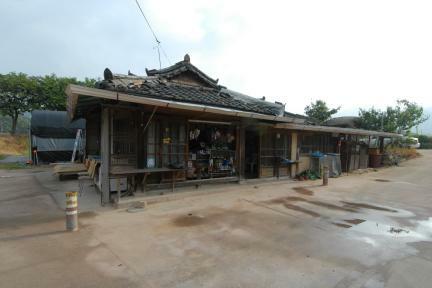 사랑채 대청에 걸려 있는 ‘충효당(忠孝堂)’이라고 쓴 현판은 명필가였던 허목(1595∼1682)이 쓴 것이라고 한다. 비교적 지을 당시의 모습을 잘 간직하고 있어 조선시대 민가 건축 연구에 귀중한 자료가 되고 있다. 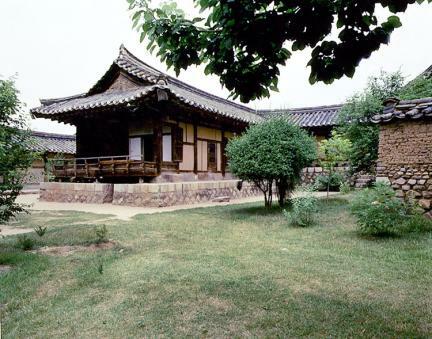 Chunghyodang House was the house of the famous civil minister Ryu Seong-ryong (pen-name: Seoae, 1542-1607) during the mid-Joseon Period. 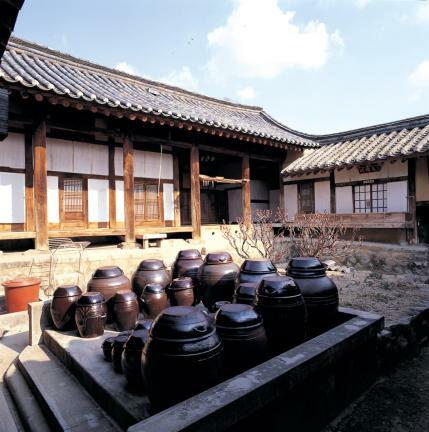 He occupied many government posts during his career, and as prime minister contributed to overcoming the difficult situation during the Japanese Invasion of Korea in 1592. 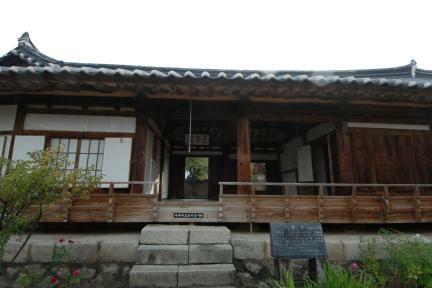 His written works Jingbirok and Seoaejip are highly regarded as precious materials for studies on the Imjin Waeran (Japanese Invasion of Korea in 1592). 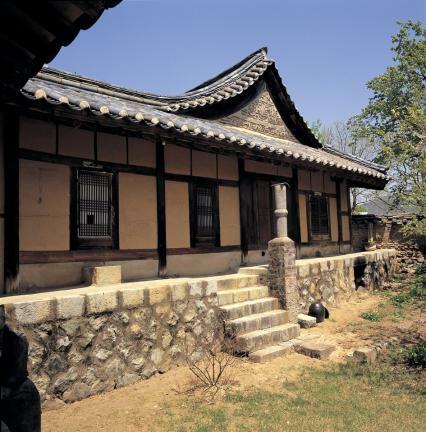 Chunghyodang House is composed of a haengnangchae (servants’ quarters), sarangchae (men’s quarters) and anchae (women’s quarters). 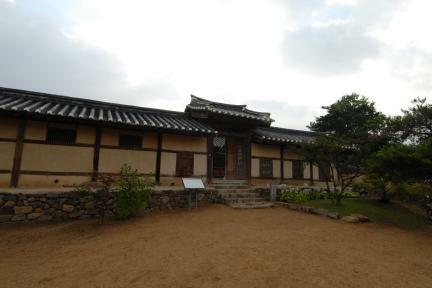 The sarangchae and anchae were built by his grandson, Ryu Won-ji (pen-name: Joljae, 1598-1647), while his great-grandson Ryu Ui-ha (pen-name: Nuljae, 1616-1698) rebuilt and expanded them at a later date. 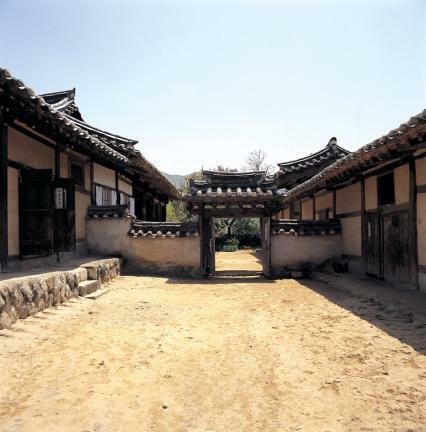 The haengnangchae, consisting of a main gate, rooms and storehouse, was built by his 8th-generation grandson Ryu Sang-jo (pen-name: Ilu, 1763∼1838). 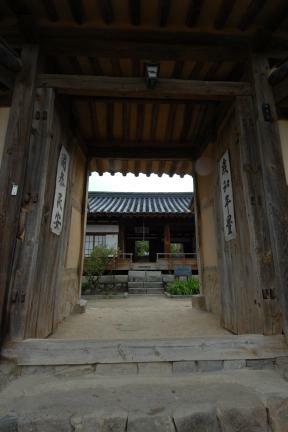 A long Haengnangchae is situated the west side as the front, the Korean character 'ㅁ' shape of Anchae at inner side and the ‘一’ shape of Sarangchae are arranged consecutively. 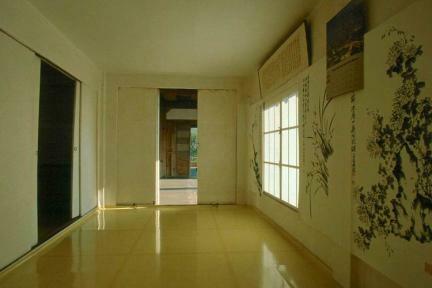 The sarangchae, as a detached building which served as a reception room for male guests, consists of a sarangbang room, main hall, room and wooden floor from left. 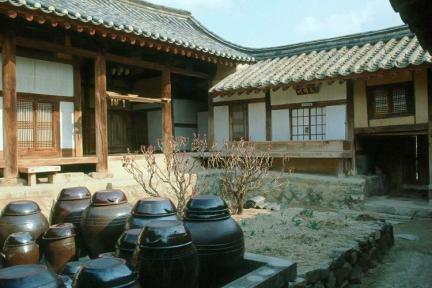 The anchae, occupied by the female of the house, consists of a kitchen in the north east, anbang (main room), main hall, and geonneonbang (a room opposite the main living room), and is shaped like the Korean character 'ㄱ'. 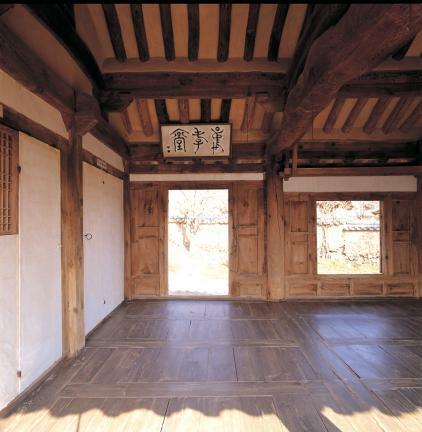 Meanwhile, in front of the geonneonbang, which is linked to the sarangchae, are a wooden floor, a floor-heated room measuring two kan (a unit of measurement referring to the distance between two columns) , and a kitchen. 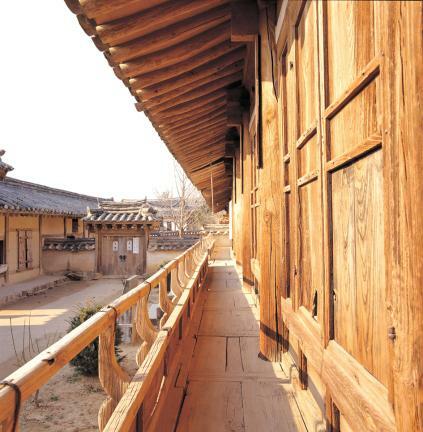 A hanging board inscribed with the name Chunghyodang (‘hall of loyalty and filial piety’) hangs from the main hall of the sarangchae. 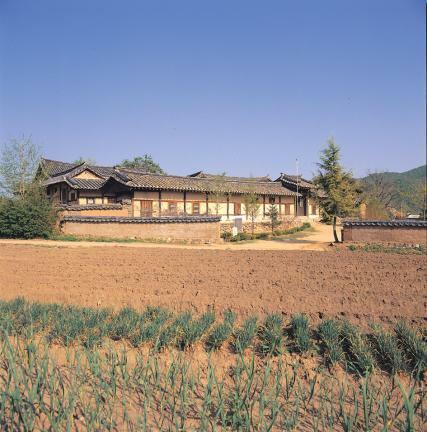 It was written by Heo Mok (1595-1682), a famous master of calligraphy. 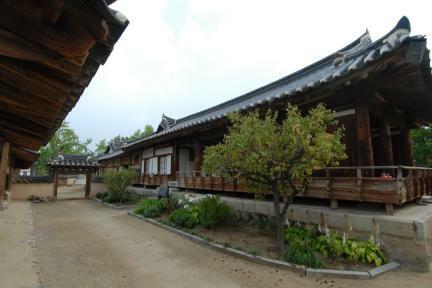 The house has been preserved in its original form, and hence is regarded as an important asset for studies on private houses of the Joseon Dynasty.